We’re located in the heart of Bicester, Oxfordshire. 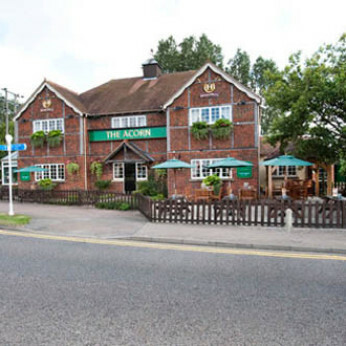 Great for families, The Acorn is warm, friendly and inviting. What’s on the menu? All your family favourites! Whether it’s an All Day Breakfast kind of day, a beer and a Beef Burger kind of day, or you just fancy Fish & Chips for a change... you’ll find there’s plenty to tickle your taste buds on our menu. We like to look after your wallet, too. Whenever you come to The Acorn you can get a great deal, as well as a great meal. There’s a different deal every day of the week.